With its sheer size, Phuket offers potential itineraries as long and as plenty as its many coastlines. Find your pace, be it active or tranquil, for memorable island experiences. Only an hour’s flight from Bangkok, Phuket (‘h’ is silent in the pronunciation of Phuket) has long been a candidate for one of the finest holiday destinations in Asia. Studies indicate that your stress goes away quickly when you catch sight of the sea. But if it’s action you’re after – the entire island, including its magnificent beach frontier becomes an extravagant setting with beach parties. 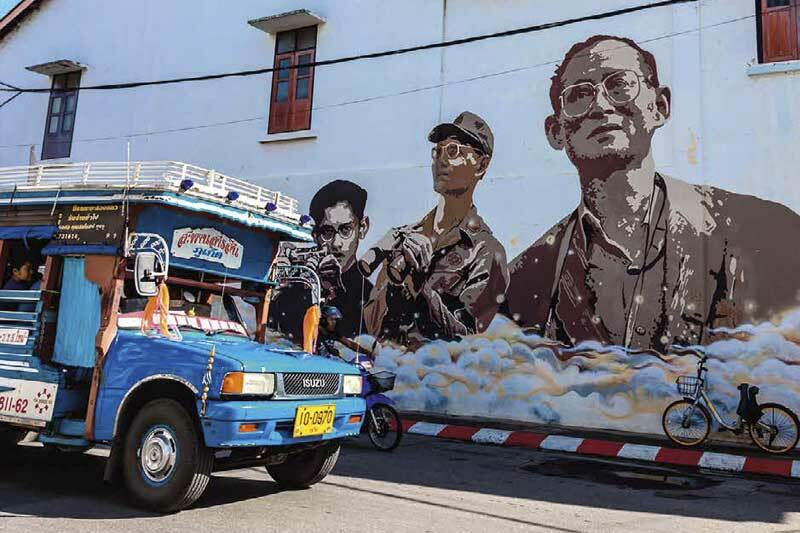 However, Phuket is much more than its beach offerings. It bedazzles travellers with its nature that’s meant to be seen and enjoyed, aquamarine waters that beckon you to explore (with a lot of help from tour operators hawking their business), limestone cliffs and lively towns, it’s difficult to come close to that of Phuket. Travellers who visit Thailand’s southwestern island are welcomed with a little slice of paradise, brimming with some of the finest hotels of edgy or organic architecture, restaurants offering the best in simple dishes to inventive fare and spas whose names are renowned in the world. There’s something for everyone, regardless of taste and budget. You can splurge on a well-appointed pavilion in one of the numerous luxurious hotels or resorts that overlook the scenic Andaman Sea or check into a villa with a private terrace and pool. Start your vacation by indulging in the extensive wellness offerings of your hotel. Take your pick from authentic herb-infused Thai treatments or hit the gym or Pilates facilities. Cap it up with traditional meals of scrumptious Thai curries (among some of the most intense in the country), and delicious seafood – Phuket has its own spiky version of lobster! Here is where you’ll also find the best of world cooking. 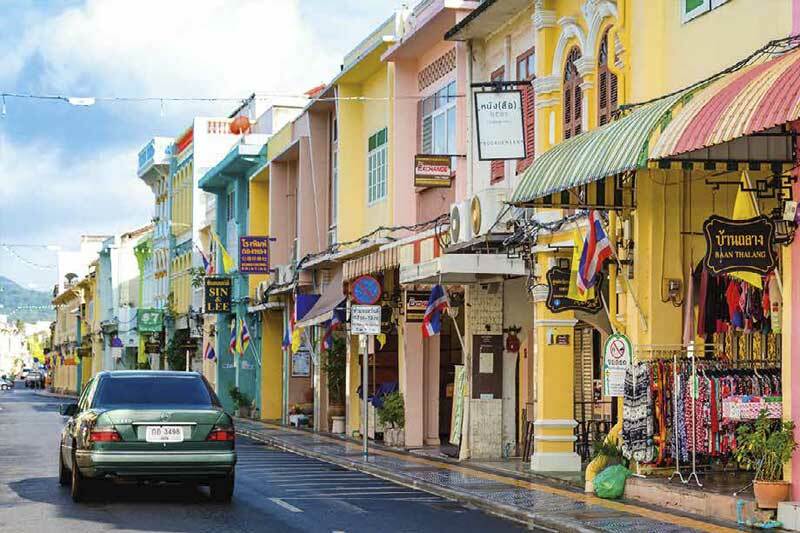 Local favourites include Peranakan food in Phuket Town or Hokkien Chinese stir-fries, in addition to find dining options scattered throughout the island. Being Thailand’s largest island, Phuket is enclosed by over 30 glorious beaches. Patong Beach, Kata, Karon, Kamala, Nai Harn Beach, and Mai Khao are the most renowned places. From the exclusive resorts of Surin Beach and Bang Tao Beach, to family-friendly Nai Harn Beach, or the party city of Patong, there is a beach for every mood. The nearby tropical islands, can be accessed by a speedboat or a luxury yacht or cruise, and gaining in popularity as a means of exploration. Well-furnished yachts take visitors on a voyage to discover the islands of the Phuket archipelago with more golden sand beaches that are equal parts mesmerizing and enjoyable. Characteristic to Phang Nga Bay are the sheer limestone karsts that vertically stand out of the emerald-green water. James Bond Island and Panyi Island are two of the most well-known in this bay. By far the best way of enjoying the impressive Phang Nga Bay, with only passing encounters with tourists at James Bond and Panyi islands, is to take a laid-back luxurious cruise. Another stop on these cruises is world famous Maya Bay. In 1999, Maya Bay was magical – white-sand beaches, azure skies and a jewel-toned sea, which was abundant in natural resources and colourful marine life. Located in Koh Phi Phi, off the coast of Phuket, is the strikingly scenic bay that comprises a 200-metre idyllic beach, which is enclosed by 100-metre high cliffs on three sides. Maya Bay became a popular tourist attraction after the Hollywood movie – ‘The Beach,’ starring Leonardo DiCaprio was filmed there in 1999. In recent times, it has been speculated its popularity received an average of 200 boats and 4,000 tourists daily. Unfortunately, because of excessive tourism, there has been environmental damage to this once unspoiled area. Due to extensive destruction of the coral reef and marine life of Maya Bay, Thailand’s National Parks and Wildlife Department decided to close the bay. Locals and tourists alike are hopeful that Maya Bay will be restored to its former beauty when it reopens. Meanwhile, there are numerous hidden beachfront escapes for a more private experience. These ‘secret’ beaches boast a laidback vibe tempered with an indulgent dash of luxury. Ao Sane Beach is ideal for snorkelling and lounging during the day. Its beachside restaurant serves up tasty Thai fare and fresh fruit smoothies with a stunning view of Koh Man. Ao Yon Beach for a fun, relaxed ambiance and the best nature has to offer, all in one place. Choose to blissfully unwind at this picture-perfect beach oasis. Banana Beach (more details in Happenings Phuket, p.110) for an exotic virgin beachfront. Vast stretches of azure waters and pearlescent sands on a crescent-shaped beach are enough to captivate one’s attention. Banana Beach is jaw-droppingly beautiful on a calm day. 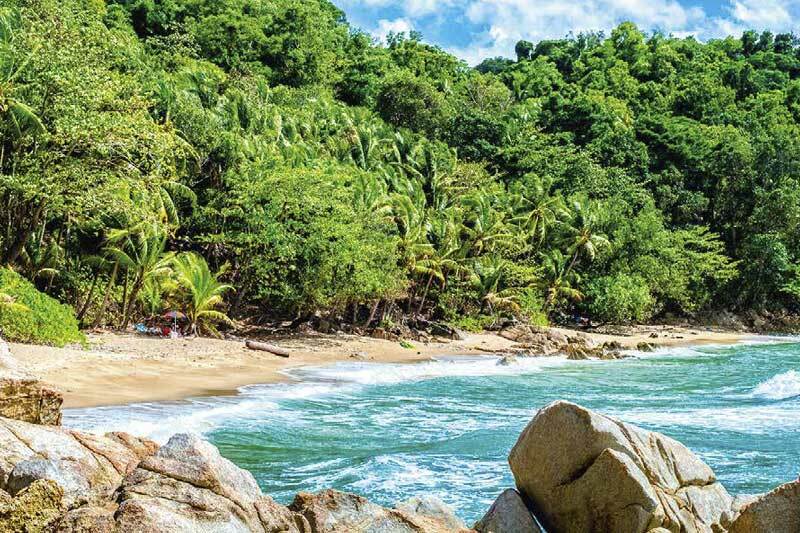 Take in the scenic locale as you soak in the serenity and exquisiteness of this hidden beach. Nui Beach for beach activities such as snorkelling, beach volleyball and sea kayaking. Also known as Water Beach Club, this beach has its own luxurious spa along with a trendy restaurant and bar. Nui Beach is perfectly maintained by the Water Beach Club staff and is great for indulging in activities away from the crowds in an exclusive setting. Khao Kad Beach also known as Panwa Beach has been able to maintain its natural beauty and not be overridden by tourists. Only 8km east of Phuket Town, this beach exudes its own unique feel and is a world apart from the rest of Phuket. 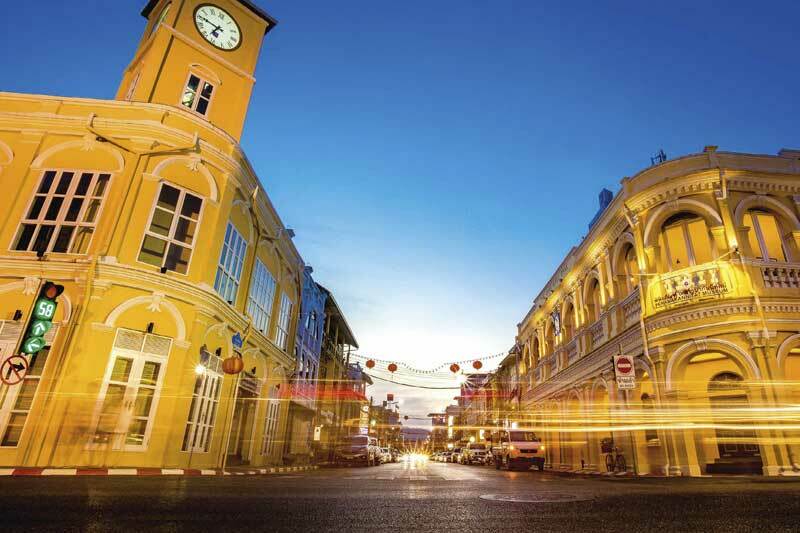 At the culturally rich and charming capital – Phuket Town, it has its own unique personality and history and time should be set aside to explore it. Its rich past is visible in Buddhist and Chinese temples, old-world shops, charming cafés, quaint museums and grand Sino-colonial mansions. Wat Chalong and the Big Buddha are two of the island’s most admired cultural destinations. A multitude of glittering pieces of glass adorn Wat Chalong, a revered Buddhist temple thereby creating reflections on its many pagodas. Big Buddha, which at 45 metres tall, rests at the top of the Nakkerd Hills. The 6-km drive up reveal unobstructed views, giving you a peek into the authentic, non-touristy side of Phuket. 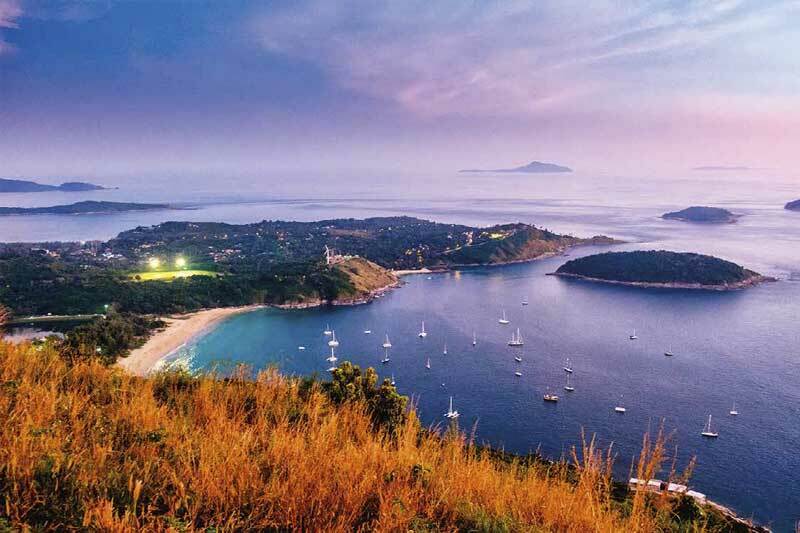 The sight of Phuket’s sparkling waters and towns should put you in immediate holiday mode. With every trip, the island shows you just enough to be satisfied, yet creates the desire to be back for more.